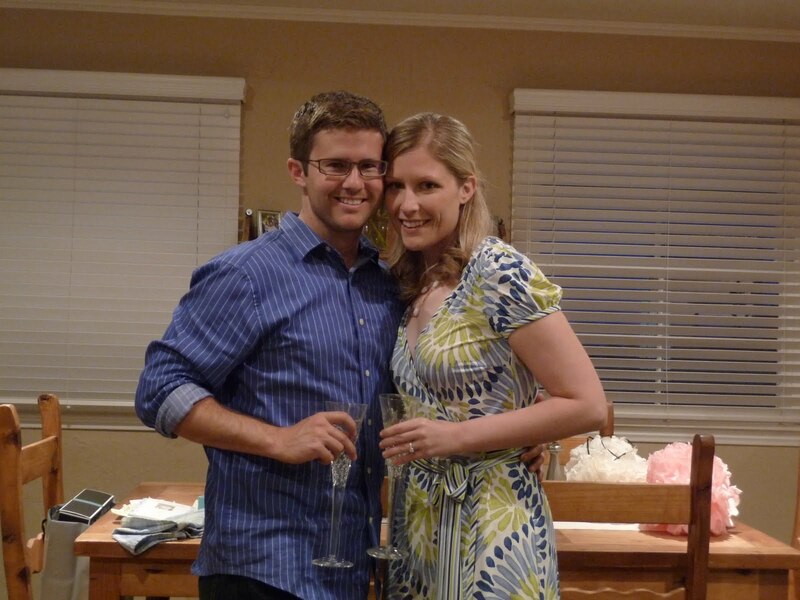 Sunday was our very first wedding anniversary. 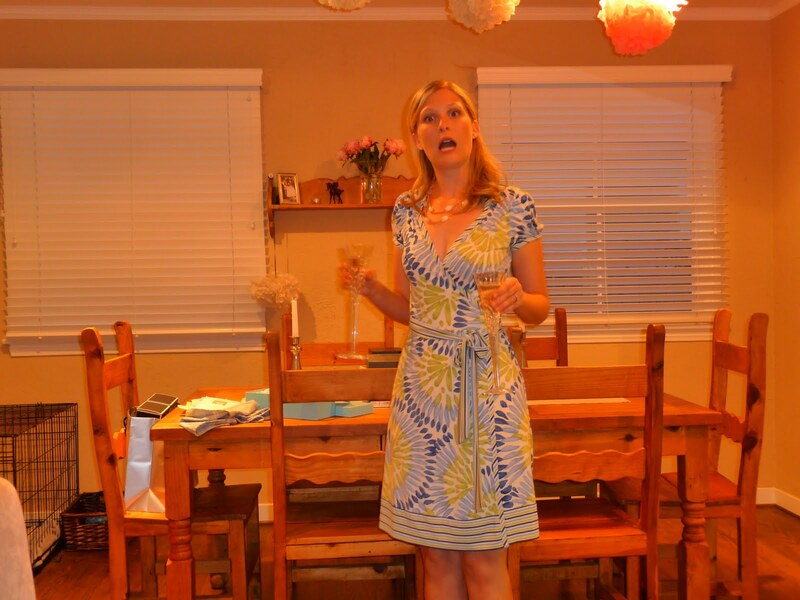 Our wedding was the Saturday of Memorial Day weekend, but this year, it fell the weekend before the holiday. You know about our big trip this summer and since we’re trying to save all we can, we decided to make this celebration a very economical one (that’s code for cheap). 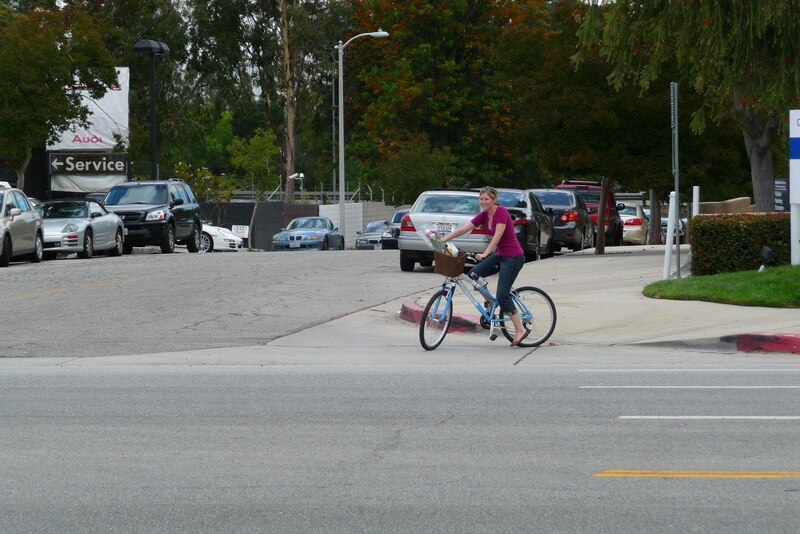 We went on a bike ride to the Calabasas Farmer’s Market… only to realize it was held on Saturdays, not Sundays. We got about 3/4 of the way there when this minute detail occurred to us. We went to Whole Foods instead. That’s kind of like a farmer’s market, right? We packed a picnic lunch and took the dogs to a nearby park. 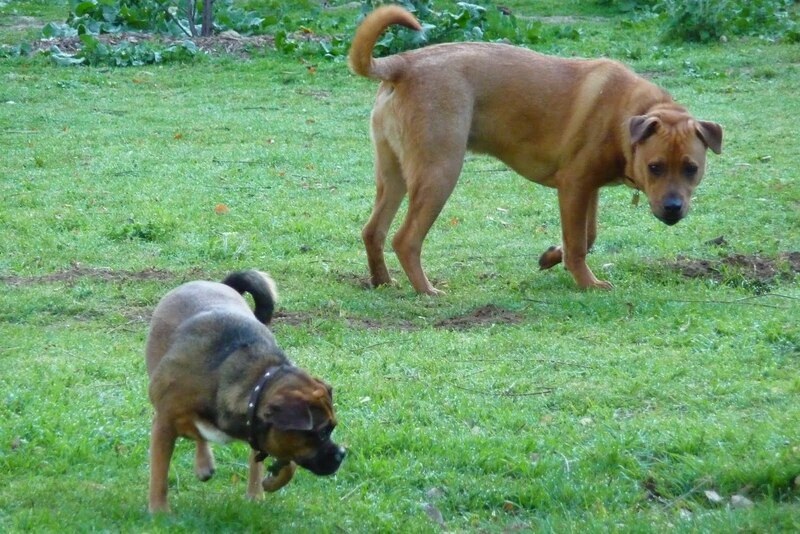 It isn’t technically a dog park, but lots of people bring their dogs there and let them run around off leash. Since it isn’t a really dog park, it is a nice park. There is actually grass and not too much poo. We came home, took a nap, and when I woke up, this is what our house looked like! 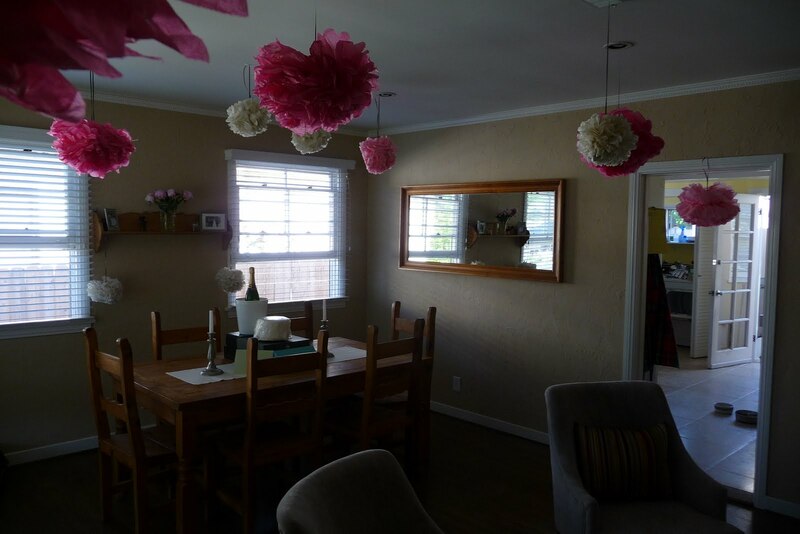 Mike decorated with the poms I made for our friends’ engagement party (they’re a bit smushed, but still fun). 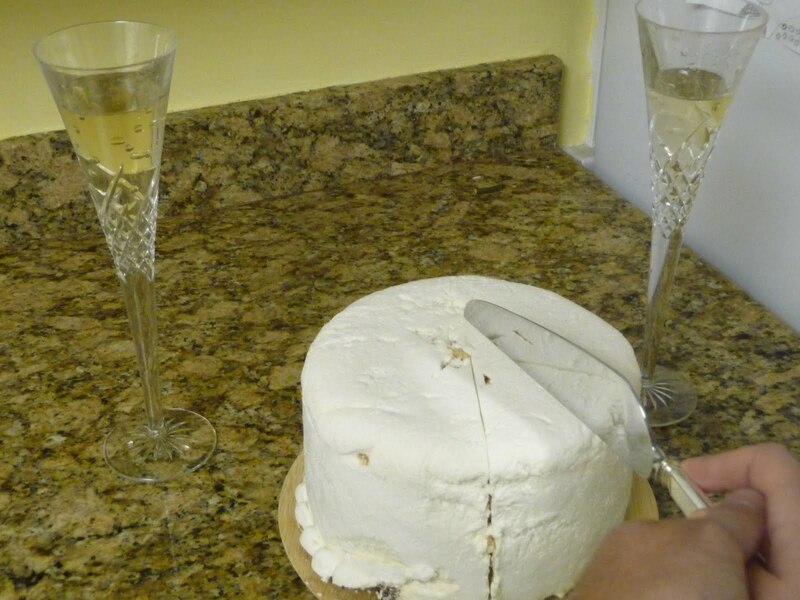 He put out the top tier of our wedding cake and a bottle of our wedding champagne: Wilson Creek Almond Champagne (YUM). We wanted to go to our favorite local sushi joint, Brother’s, but they are closed on Sundays. 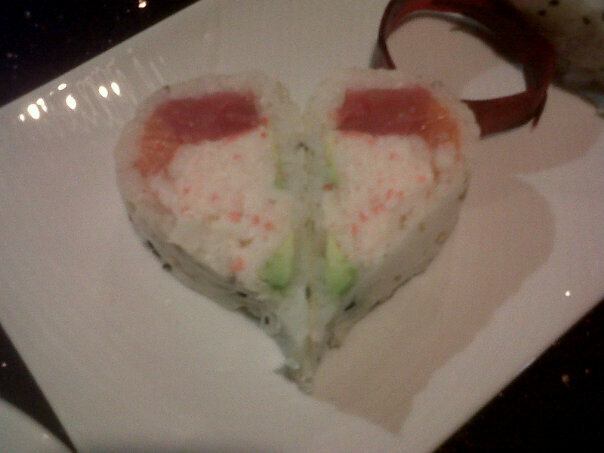 We settled for Sushi Planet (or Planet Sushi, can’t remember) in Calabasas and got one of these cute rolls. We were a little disappointed with the atmosphere, as there were at least 3 babies and several little kids dining with their families. It was our fault, though, as we went out way too early (6:30). We came home, cut our cake (with our lovely Tiffany’s cake knife – gift from Great Aunt Mary), and enjoyed champagne (in our gorgeous Waterford toasting glasses – gift from Uncle Bob and Aunt Nancy) while sitting outside by the fire. Our good friends The Vances, started a tradition that they passed on to us. Every year, we are to take a picture of us on our anniversary, put it in a special anniversary album, and write a little description of what we did to celebrate that year. And here is this year’s photo! I am so happy to have found my soul mate in my husband. I love him more every day and can’t wait to grow old together! Happy Anniversary To Us! ← Somebody find this boy’s dog!!! Awwwwww sounds like a perfect way to Celebrate. Wishing you many more years of love and joy! awww nice read. happy anniversary. im so happy you found him! you are soooooo lucky to have him!